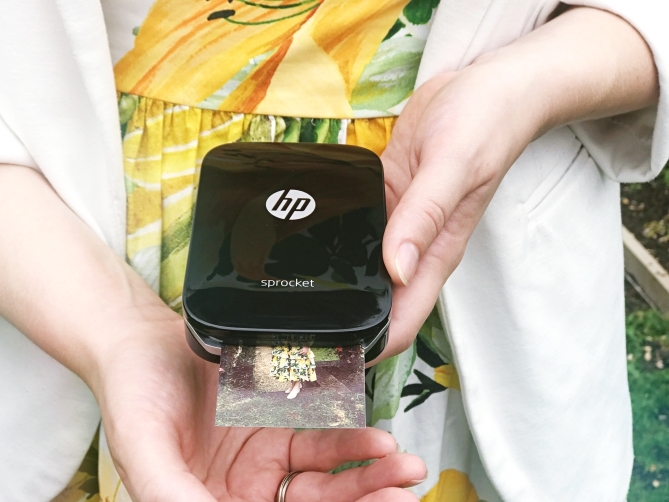 The HP Sprocket is a portable mini printer that can be connected to your phone to print anything you like. 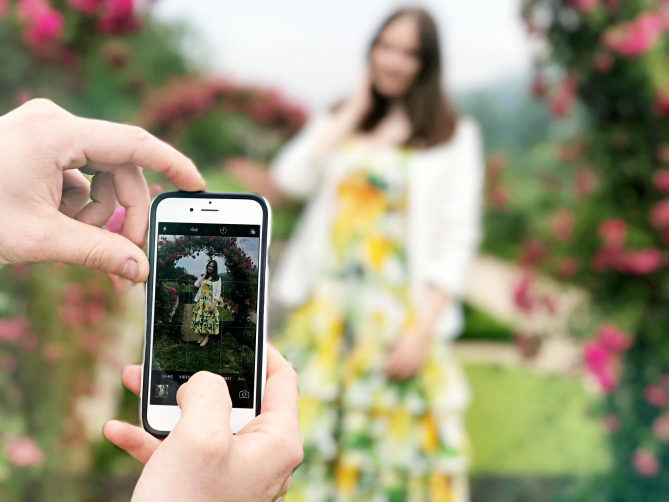 Whether it's old photos from your camera roll, your latest Instagram photo or a snapshot you just took inside the Sprocket app. One of the major advantages of Sprocket obviously is that you can edit your photos before printing them. And you don't even need any extra app for that, as Sprocket has the main editing tools at your disposal. It even has fun emojis to jazz up your summer party photos with a flamingo or pineapple. Or you can also write something on your photos! 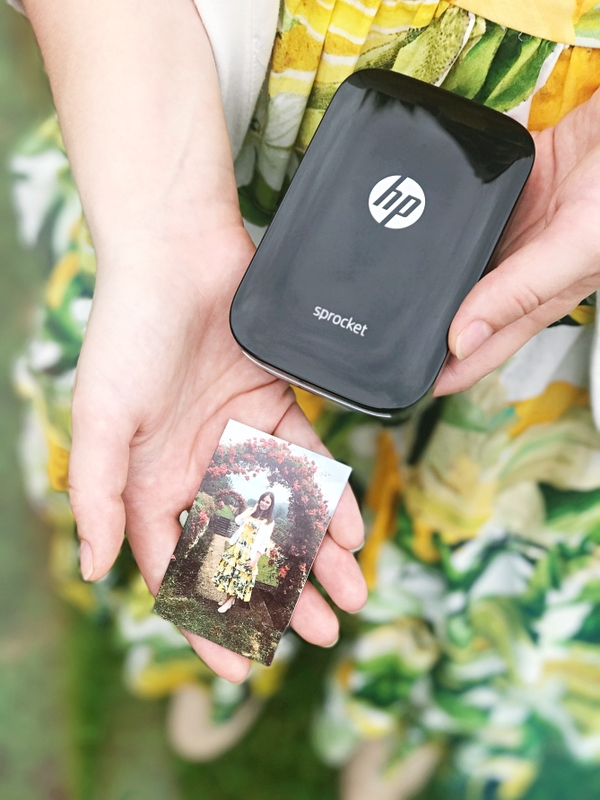 Printing your photos is really easy. 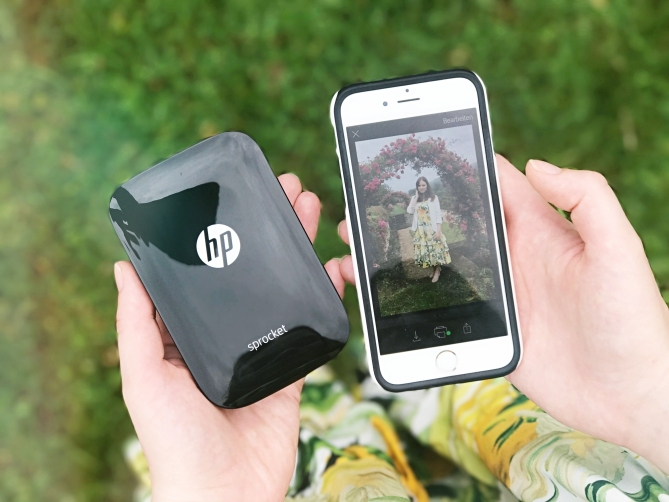 All you have to do is link the printer with your phone via bluetooth, install the Sprocket app and choose the photo you want to print. The printer is not even the size of a regular iPhone 6 so you can put it in your clutch for a fun girls' night out. The only downer is the quality of the printed photo (inferior to regular printer quality). The prize of the photographic paper is around 10€ for 20 sheets and the HP Sprocket itself costs around 140€. Anyway I am already in love with my Sprocket and I can totally imagine taking it to my bachelorette party or even our wedding!